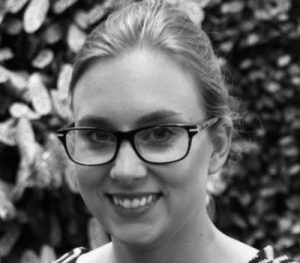 Katie Leach is a Senior Programme Officer in the Business and Biodiversity Programme at UN Environment World Conservation Monitoring Centre (UNEP-WCMC). Katie is currently working with the finance sector through the Natural Capital Finance Alliance to catalogue the impacts and dependencies of businesses on ecosystem services and natural capital. She also sits on the User sub-committee for the Integrated Biodiversity Assessment Tool (IBAT), a tool designed to deliver biodiversity data to decision makers. Prior to joining UNEP-WCMC, Katie studied for a PhD in Biological Sciences at Queen’s University Belfast in which she explored species’ responses to climate change.